Nanci has been with the Modern Dentistry team since 2006, and she is one of the most respected dental hygienists in the San Diego community. Her expertise in her field is realized by every patient right away and they often say "This is the best dental cleaning I ever had...BY FAR!!" Her devotion and her perfectionism allow her to really stand out. Nanci truly cares for her patients and will educate our patients with the best oral hygiene instructions necessary to achieve their desired goals. Nanci was born and raised in Michigan but has made San Diego her home with her husband Eric and her children Chassen, Jenna, and Collin. You'll see Nanci either walking her American Eskimo dogs in the community or skiing the slopes in Utah. Christina is one of our highly skilled and loved hygienists. Practically a San Diego native (moving here when she was 3 years old), she became interested in the dental field over 10 years ago. She started out as a Registered Dental Assistant in 2003, and worked in a general dentistry office for 6 years until she decided to go into field of dental hygiene. As a registered dental hygienist, Christina is not only excellent and clinically sound, but has amazingly soft and gentle touch. A day does not go by that she is not complimented for her painless and caring touch. On her free time, she loves spending time with her family and friends. Also, she enjoys serving at church and teaching Sunday school for kinder and first graders. She is known for her delicious Filipino food and cupcakes, and loves to watch movies and read as well. 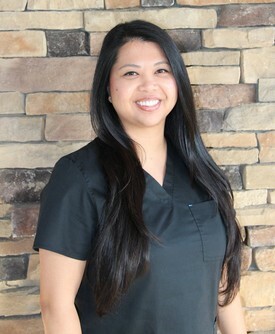 Come meet Christina and see what all of our new and existing patients are raving about! Dominique has been with our office since2013 and we are lucky to have her! 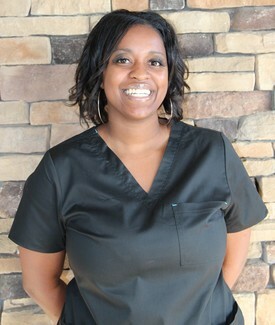 She has been a top-flight dental assistant since 2010, and her enthusiasm and energy for her work invigorates all of us. Originally from Houston, Texas, her warm and southern charm will be felt right away, she always places patient comfort as her top priority and can make just about everybody feel at home (yes even in a dental office!). When not at Modern Dentistry her hobbies include hanging out with her friends and playing cards, game nights and cooking dinners together. 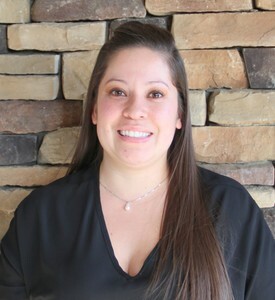 Jessica will be one of the smiling faces you will first see when you step into our practice. 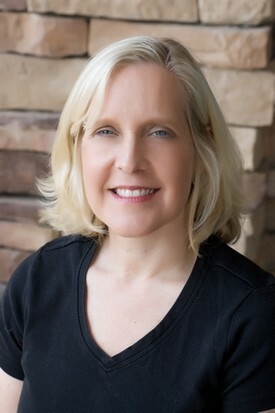 She has been working with Dr. Mojaver since 2008. First as his dental assistant and now as his Office Manager. Jessica has been working in the dental field since 2005, which gives her a firm grasp on dental procedures, terminology, helping patients maximize benefits and avoid them paying unnecessary and unexpected charges. Being a team player, you will also see Jessica helping out in the back as needed.